Due to three months of compulsory semi-unpaid leave (thanks a bunch global financial crisis! ), I had quite a lot of time on my hands. 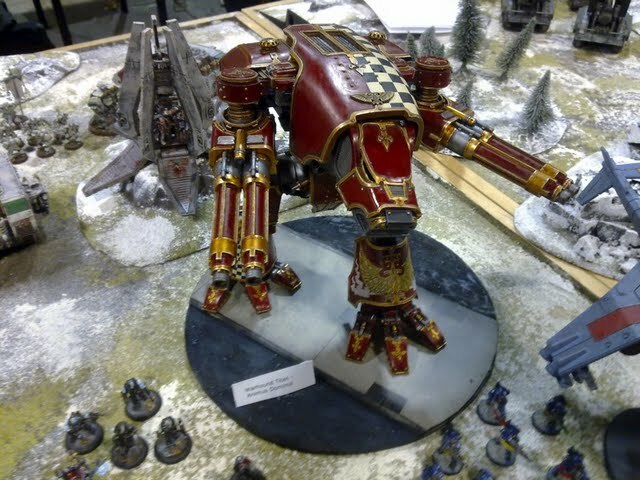 Luckily I had a Warhound Titan sitting in a box for just such an occasion. 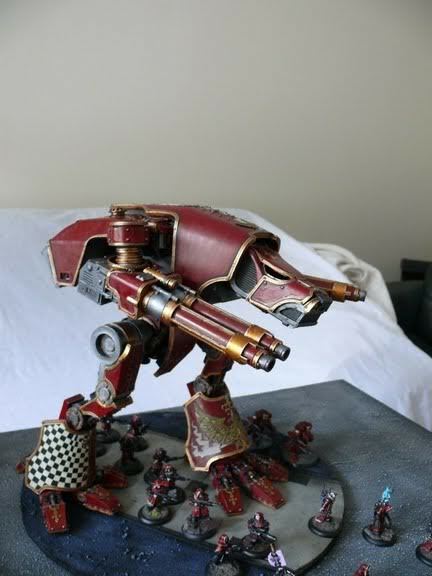 Apologist provided motivation and an ample number of his mechadendrites during the assembly process (although in retrospect, I'm not sure it was necessary to bless each component three times before gluing). 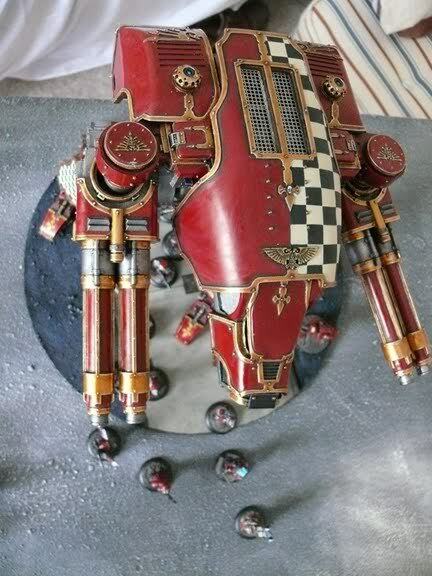 The desire to get it ready for the latest Tempus Fugitives weekend to aid my PCRC breathen in their noble quest to obtain a reasonable win ratio, also gave me the oomphf needed to get the job done. 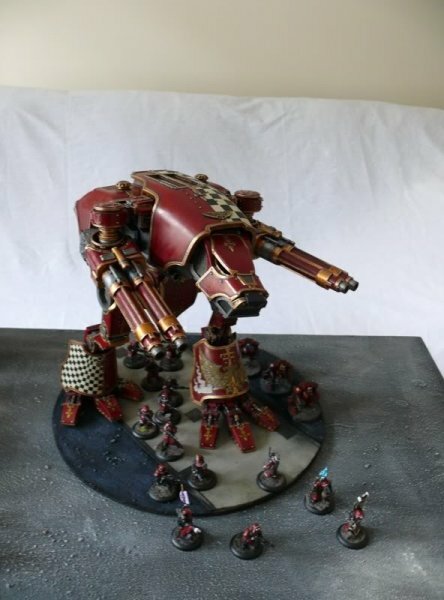 Special thanks also have to go to Binky of Warseer, who provided the inspiration for the colour scheme and gave me vital pointers on which paints to use. 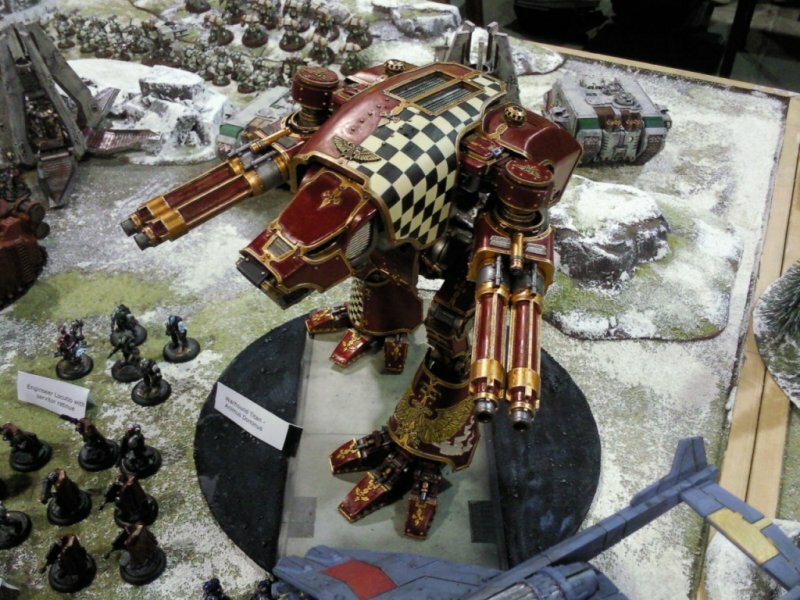 The chequer pattern was used in order to help tie the Titan in with Apologist's Adeptus Mechanicus force.